I'm looking for a 81 model 626 RWD coupe boot lid....i'm Located in Melbourne Victoria. Finding an S2 hardtop boot lid in good nick, is super difficult. They all rust along the lip - for some reason. 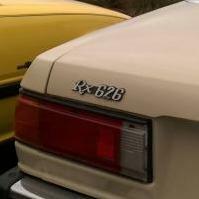 I saw your post on RX626. I have a spare one, but it's only in poor to fair condition - it has rust also.